The Note USB memory pen is the newest addition to our range of multifunctional USB flash drives, perfectly designed to promote your brand whilst being a practical and useful product. This stylish pen is shaped to fit nicely in your hand and comes with the added benefit of an easily accessible USB flash drive that’s with you whenever you need it. Two small magnets safely secure the USB drive in place at the end of the pen whilst also making it easy to remove when you need to access your data. The practical functionality of this compact and fun USB memory pen makes for the perfect corporate gift. 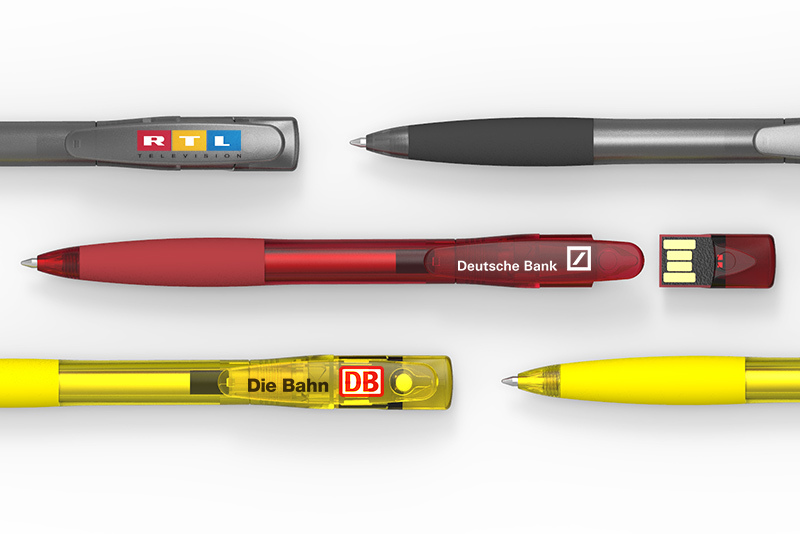 Available in eight standard colours and in memory capacities up to 64GB there is no limit to how the Note USB memory pen can contribute to your marketing and promotion strategy. Contact us today for samples or a quote and you could have your order in just 10 working days. Our client is keen in order 170pcs of 16gb and 120pcs of 32gb note usb pen. Kindly quote us the price and delivery lead time. The quickest way to get a quote is to fill out our Quick Quote form below. One of our Account Managers will then be in touch as soon as possible.